We have seen lots of information about using mediation to reduce the costs of resolving disputes. Now in Ontario if you do not use mediation, it could cost you money. According to a 2018 decision by the Ontario Superior Court of Justice when a party in a lawsuit is “unreasonable “ in its refusal to participate in mediation, the Court can reduce the award of costs to that party. This decision is very significant for all types of disputes. Prudent lawyers and parties involved in disputes need to bear this in mind when deciding about the use of mediation. This case was not within the rules for mandatory mediation because the action was brought in Belleville. Only 3 jurisdictions in Ontario – Toronto, Ottawa, and Windsor – have a requirement for mandatory mediation in civil lawsuits. In 2015 and again in 2017 as the case was moving towards trial, the plaintiff’s lawyer suggested mediation to the defendant’s insurer’s counsel. No mediation resulted. The jury trial went ahead for 7 days in September 2017. The Judge, Mr Justice Graeme Mew favoured the approach used where mediation is not mandatory in England and Wales. The court may take the view that had the parties engaged in ADR, the dispute would have settled without proceedings and therefore disallow all or some of the costs of the party who declined ADR even if that party was successful. the general principle in rule 1.04 of the [Ontario] Rules of Civil Procedure that the rules shall be liberally construed to secure the just, most expeditious and least expensive determination of every civil proceeding on its merits and, that in applying the rules, the court shall make orders and give directions that are proportionate to the importance and complexity of the issues and to the amount involved in the proceeding. The insurer for the defendant argued that it had a strong case on liability and therefore its refusal to mediate was not unreasonable and was consistent with the practice in England and Wales. Ten years later in David v. Transamerica Life Canada, (2016) 131 O.R. (3d) 314, at para. 97, Mr Justice Price took a different view. In cases where each of the parties has an arguable case, and each faces a risk of loss in the proceeding, mediation can offer a reasonable prospect of settlement. In such cases, a refusal to participate in mediation is a factor that the court can properly consider in determining whether the party has engaged in unreasonable conduct that has caused unnecessary costs to be incurred and that warrants rebuke by means of a costs sanction. This determination requires a case-by-case analysis. In David, the Court’s concern was insurers choosing to take hardline positions against economically weaker plaintiffs. The present case is not one of those circumstances where a plaintiff was trying to shake down an insurer by demanding mediation of a wholly unmeritorious case. To the contrary, it is a case where the insurer took a tough and uncompromising stance. That, of course, is a defendant’s prerogative. Defendants do not have to settle. But if reasonable opportunities to mediate are spurned, that can be a relevant factor when fixing costs. It was, in my view, unreasonable for the insurer to decline mediation in this case. That should be reflected in the disposition of costs. Had a mediation occurred in 2015 or even in 2017, substantial costs would have been avoided. After all the arithmetic, the refusal to mediate in Canfield cost the defendant about $20,000, probably much more than the mediation would have cost even if the defendant paid the full cost. Costs awarded to the plaintiff were $210,000. This case is a clear indication that the Courts now expect parties to mediate before proceeding to trial, even if mediation is not mandatory. Reasonable circumstances to refuse mediation seem to be limited to extreme and rare situations where one party has such a strong position on liability that a refusal to mediate is considered reasonable when viewed later through the eyes of the trial judge. Kathryn Munn, Munn Conflict Resolution Services, is a Mediator and Arbitrator based in London, Ontario. 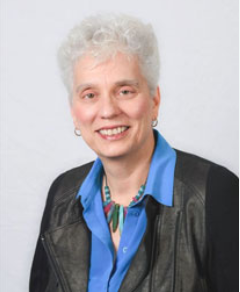 She is a President’s Circle member and a Past President of the ADR Institute of Ontario. Bio page on the website is here.